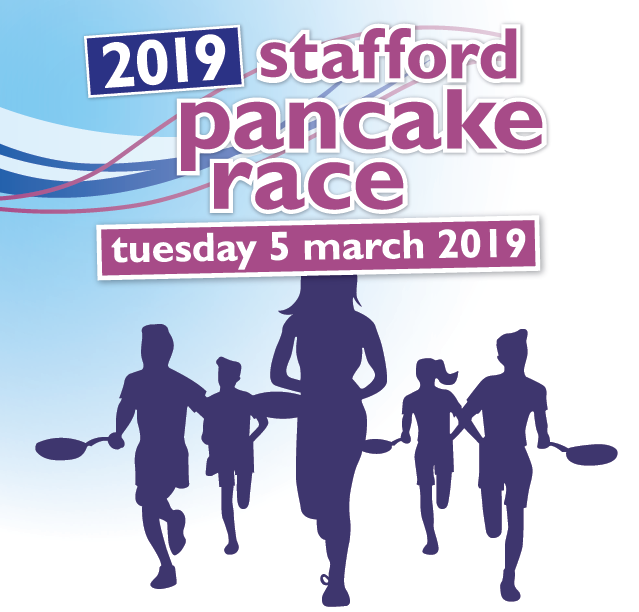 Preparations are underway for the exciting annual Stafford Pancake race, the event will be relay style, with teams of four competing against each other for the honour of the 'Best Flippers in Town!'. The event is FREE to enter and last year saw 16 teams take part! All teams are encouraged to wear fancy dress or a theme! Please use the form below to enter your team. By submitting the entry form, you are confirming that all members of the team are medically fit to participate and that the organisers shall not be liable for any accident, injury, loss or damage to any participant.